05/12/14 -- Soycomplex: Beans and meal closed strongly higher, with the gains in each spread fairy evenly across the months, rather than concentrated at the front end for once. Fund money was given credit for being a net buyer of around 12,000 soybean contracts on the day, along with around 5,000 in meal. Demand for US soybeans (and meal too) remains very strong, with weekly export sales topping 1 MMT in six of the last seven weeks. Cumulative sales on beans are already 85% of the USDA's target for the season, which is a record percentage given that we are only a quarter of the way into the season. The late planting of Brazil's crop will also likely keep this demand focused on US origin beans just that little bit longer than last year too. The USDA also reported 240 TMT worth of new sales to unknown under the daily reporting system today, adding to the bullish vibe. Next week brings the USDA's December WASDE report due on Wednesday. Given the frenetic pace of US soybean exports, most thing that the USDA will drop 2014/15 US soybean ending stocks from the 450 million bushels forecast last month to around 427 million this time round. Jan 15 Soybeans closed at $10.36, up 25 1/2 cents Mar 15 Soybeans closed at $10.42, up 24 3/4 cents; Dec 14 Soybean Meal closed at $394.20, up $8.50; Dec 14 Soybean Oil closed at 32.01, up 41 points. For the week, on a front month basis, beans were up 20 cents, with meal $3.10 higher and oil 17 points lower. Corn: The corn market closed around 5 cents higher on the day, and for the week. Yesterday's better than expected weekly export sales was supportive, although it only takes total commitments so far this season to 51% of the USDA's target, which is just about in line with average. US corn offers FOB the Gulf are said to be reasonably competitive at around $185/tonne versus $188 in Bordeaux and $194 in Argentina. Brazil and Ukraine offers however are around the $180/tonne mark. The trade is expecting the USDA to raise their forecast for US corn carryout in 2014/15 from the 2.008 billion bushels estimated a month ago to around 2.025 billion. Argentine production will probably be left unchanged at 23 MMT, but Brazil's might be lowered from the current 75 MMT. Informa estimated that Brazilian 2014/15 corn production will drop to 68.7 MMT earlier in the week. Agrimoney report that Chinese authorities may be starting to question the GMO credentials of corn from other origins, besides the US, as well as pondering over the "safety" of the country's soaring sorghum imports. Ukraine said that it had harvested 63.6 MMT of grains of 98% of the planned area, including just over 27 MMT of corn off 97% of plan. They said that the country had exported 15.66 MMT of grains so far this season, including 4.62 MMT of corn. Russia said that it had harvested 110.4 MMT of grains, off 99.8% of the planned area. Corn accounts for 11.2 MMT of that off 96.7% of the projected area. Dec 14 Corn closed at $3.81 1/2, up 5 1/2 cents; Mar 15 Corn closed at $3.95, up 5 1/4 cents. For the week Dec 14 corn was 5 3/4 cents higher. Wheat: The wheat market closed mostly higher on the day, but mixed for the week. Russia continues to officially refute trade rumours of any upcoming export restrictions. When is an export ban not an export ban? When the Russian Veterinary and Phytosanitary Surveillance Service (VPSS) say it has only toughened up the requirements for the quality of grain exports, it would seem. Remember that buyers haven't asked for this, it's something that has been done voluntarily. The Russian rouble is dropping like a stone, due to Western sanctions against the country and also the slumping value of crude oil. Grain that hasn't been exported is dollars essentially, so there's plenty of incentive to hang onto it and keep it in Russia, at least until the rouble stabilises. However, if you don't want the WTO on your case (as well as just about everybody else), and to be accused of deliberately driving domestic food prices up, at a time when they are already rising anyway, then what do you do? Especially when you promised that you wouldn't introduce an export embargo again the last time that you did so in 2010. Well, you could introduce some vague new rules that slow exports down so much that buyers end up going elsewhere. Is that what's happening here? Only time will tell, but reports of delays awaiting the right paperwork are already circulating. In other news, next week's USDA report is expected to show US 2014/15 ending stocks a bit higher than the 644 million bushels shown last month at 651 million. The Russian Ministry said it's wheat harvest was over at 62.3 MMT in bunker weight. Dec 14 CBOT Wheat closed at $6.09, up 9 1/4 cents; Dec 14 KCBT Wheat closed at $6.32 1/2, up 5 1/4 cents; Dec 14 MGEX Wheat closed at $6.19 1/2, down 3 3/4 cents. For the week that pegs Chicago wheat 31 3/4 cents higher, with Kansas down 4 1/2 cents and Minneapolis down 1 1/2 cents. 05/12/14 -- EU grains finished the day mostly higher. Although London wheat officially closed lower on the thinly traded Jan 15 and Mar 15 (only 5 lots of each traded today), the more active May 15 ended a pound higher. At the close Jan 15 London wheat was down GBP1.00/tonne to GBP129.00/tonne; Jan 15 Paris wheat was EUR1.75/tonne firmer at EUR188.00/tonne; Jan 15 Paris corn rose EUR1.25/tonne to EUR155.75/tonne; Feb 15 Paris rapeseed ended EUR3.50/tonne higher at EUR340.25/tonne. At the end of a choppy week that puts Jan 15 London wheat down GBP2.80/tonne, although Jan 15 Paris wheat finished the week EUR3.75/tonne higher. Jan 15 Paris corn was up EUR3.50/tonne compared to last Friday and Feb 15 Paris rapeseed ended the week EUR3.25/tonne higher than it began it. It's been a topsy turvy week, and one that saw nearby London wheat trade as high as GBP137.75/tonne on Tuesday (the highest for a front month since the last day of June), on speculation that Russia might be about to introduce some form of export restrictions on grains. That idea got blown out of the water on Wednesday/Thursday, although news that at least one vessel loading wheat for Egypt has now been waiting more than 2 weeks to obtain the necessary certification from the Veterinary and Phytosanitary Surveillance Service (VPSS) to allow it to sail, is of interest. It was comments by them that new and stricter phytosanitary regulations could lead to a significant fall in grain exports in the year ahead that got the market all excited in the first place. Some still think that this could be a partial export embargo in all but name. Europe's soft wheat export pace shows no sign of waning meanwhile, with Brussels issuing 729 TMT worth of export licences this past week. That takes the cumulative season to date total to 13.6 MMT, which is 1.1 MMT more than last year. You will need no reminding that last year was a record for EU wheat exports, and that most still forecast these to decline in 2014/15, with a subsequent rise in ending stocks. The pace of EU wheat exports may well increase in the second half of the current season, just as it did in 2013/14, with reduced competition from the Black Sea countries. Ukraine's wheat exports are already in decline, as the country now majors on corn. They've exported 15.66 MMT of grains so far this year, including 7.48 MMT of wheat, 3.37 MMT of barley and 4.62 MMT of corn. However, with corn being a later harvested crop, exports of that have only started to pick up in recent weeks. Corn accounted for 85% of all grain shipments via Ukraine seaports last week. The state of winter crops in Russia and Ukraine remains a legitimate concern for the market too, and one that is unlikely to be able to be accurately assessed until the winter is over. The Deputy Minister for Agriculture in Rostov, Russia's largest winter planted grain region, says that around 60% of crops in the region are in good to satisfactory condition. The rest is either rated poor (15%), or hasn't even germinated at all (almost 25%). Lack of access to credit, rising inflation and acute local currency weakness is also an issue that growers in both Russia and Ukraine need to address when spring comes around. Meanwhile, FranceAgriMer said that the French corn harvest is now complete, versus only 83% done this time last year. The French winter wheat crop for the 2015 harvest is 99% sown versus 94% a year ago. Crop conditions in winter wheat are rated 93% good to very good, unchanged from a week ago and up from 80% this time last year. Winter barley is also rated 93% good to very good, which is similarly unaltered from last week and up compared to 81% in late 2013. Informa forecast the EU-28 all wheat crop to decline 8% to 143 MMT next year, down 12.4 MMT versus 2014. They currently have Russia's 2015 wheat crop also down 8% at 55 MMT, and see Ukraine's falling 12.5% to 21 MMT. 04/12/14 -- Soycomplex: Beans ended higher as weekly export sales of almost 1.2 MMT trumped expectations of 700-900 TMT. Meal sales of 226,800 MT for 2014/15 were also stronger than anticipated. Actual soybean shipments were also robust and beat 2 MMT again this past week. Cumulative 2014/15 shipments are now 20.3 MMT, with a further 19.3 MMT of outstanding sales, taking total commitments to 39.6 MMT, or 85% of the USDA's target for the season. Stats Canada estimated the Canadian soybean crop at just over 6 MMT, which was a little higher than the 5.9 MMT that the trade was expecting. Canadian canola production came in at 15.56 MMT, which was up 1 MMT on the average trade estimate and also well above the October forecast of little more than 14 MMT. The Buenos Aires Grain Exchange estimated that Argentine soybean planted area at 20.6 million hectares, unchanged from their previous figure and up versus 20 million a year ago. They said that planting is now 54.5% complete, which is 3.4% down on a year ago. MDA CropCast were unchanged on their outlook for soybean production in Brazil and Argentina in 2014/15, estimating the former crop at 91.2 MMT and the latter at 56.1 MMT. Jan 15 Soybeans closed at $10.10 1/2, up 12 1/4 cents; Mar 15 Soybeans closed at $10.17 1/4, up 12 cents; Dec 14 Soybean Meal closed at $385.70, up $4.60; Dec 14 Soybean Oil closed at 31.60, down 26 points. Corn: The corn market closed higher, with weekly export sales of almost 1.2 MT also beating trade forecasts of 600-850 TMT. These were up 24 percent from the previous week and 65 percent above the prior 4-week average. Actual shipments this week were just shy of 750 TMT. Total shipments so far this season are now almost 9.3 MMT, with a further 13.5 MMT of outstanding sales. That takes net commitments to 22.8 MMT, which is just over half of the USDA's forecast for the season. Stats Canada forecast the Canadian corn crop this year at 11.5 MMT, just under the 11.6 MMT that the trade was expecting, although slightly higher than their October estimate. MDA CropCast estimated the Brazilian corn crop at 76.8 MMT, which is down 0.4 MMT on a week ago, although still higher than most other estimates in the hat. The Buenos Aires Grain Exchange estimated the Argentine corn crop at 44.5% planted, which is 2.5 points behind last year's pace. 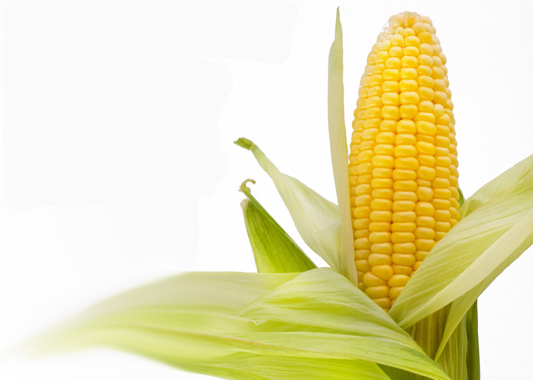 "From a technical standpoint, the corn market showed improvement with today’s higher trade. However, it doesn’t have the momentum needed to put in new highs for the move. The close near the high side of the daily range is a positive," said Benson Quinn. South Korea are tendering for 140 TMT of optional origin corn from April delivery. Serbia said that they had exported a record 480 TMT of corn in November. Dec 14 Corn closed at $3.76, up 7 1/4 cents; Mar 15 Corn closed at $3.89 3/4, up 7 3/4 cents. Wheat: The wheat market closed mixed, up a little in Chicago but down in Kansas and Minneapolis. Weekly export sales of 319,200 MT were down 26 percent from the previous week and 14 percent below the prior 4-week average. Exports themselves were just under 450 TMT. Total shipments so far this season are now 12 MMT, with 4.9 MMT worth of additional outstanding sales. That takes total commitments so far this season to 16.9 MMT, which is 66% of the USDA's target, which is in line with average for this time of year. Stats Canada estimated the Canadian all wheat crop at 29.3 MMT, which was well above the average trade forecast of 27.8 MMT and the October forecast of 27.5 MMT. MDA CropCast cut their forecast for next year's Canadian wheat crop by 1.5 MMT to 27.1 MMT. The USDA's FAS in Indonesia forecast the nation's wheat imports in 2014/15 rising to 7.7 MMT from 7.1 MMT last season. Australia are traditionally their top supplier, although they do also buy significant volumes from the US and Canada. The Buenos Aires Grain Exchange estimated the Argentine wheat crop at 41.8% harvested, up 10.8 points on the week. Average yields to date are 2.34 MT/ha, but these are improving as the harvest progresses and expected to average 2.8 MT/ha at the finish. They stood by their forecast for final production this year of 11.5 MMT. Dec 14 CBOT Wheat closed at $5.99 3/4, up 2 3/4 cents; Dec 14 KCBT Wheat closed at $6.27 1/4, down 4 1/2 cents; Dec 14 MGEX Wheat closed at $6.23 1/4, down 12 1/4 cents. 04/12/14 -- EU grains closed lower, although well off session lows. London wheat actually finished at, or close to, the highs of the day. At the finish Jan 15 London wheat was down GBP1.90/tonne at GBP130.00/tonne, Jan 15 Paris wheat fell EUR0.75/tonne to EUR186.25/tonne, Jan 15 Paris corn was EUR1.00/tonne easier at EUR154.50/tonne, whilst Feb 15 Paris rapeseed was down EUR0.50/tonne to EUR336.75/tonne. APK Inform said that Russian ministers didn't even discuss the possibility of imposing any kind of grain export limitations at yesterday's government meeting. They did however apparently say that they will continue to monitor the situation in the grain markets and offer state-owned stocks onto the market if required. The Russian government's intervention purchase program began on Sep 30, but has only managed to procure 268,495 MT of grain so far this season. Meanwhile, other reports suggest that at least one Egypt bound vessel has been stuck at Russia's Novorossiysk port for a couple of weeks waiting for the necessary phytosanitary certificate before it can sail. In other news, MDA CropCast cut their forecast for the world wheat crop in 2015/16 by 1.1 MMT from a week ago to 718.5 MMT, mainly due to reductions in Canada. For Russia, they predict a wheat crop of 54.2 MMT next year, with Ukraine producing 23.4 MMT and Kazakhstan 12.8 MMT. Reuters report of two ships loading wheat in France this week bound for South Korea and Thailand, as they search the globe for new homes. The latter is said to be the first such shipment since 2009. Commerzbank forecast Paris wheat futures to be around EUR200/tonne in Q4 of 2015, which is EUR40/tonne more than their previous estimate, according to Agrimoney. 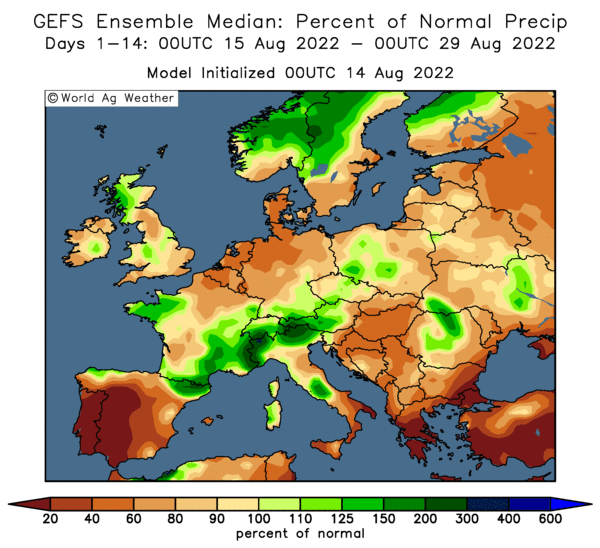 "Strong EU export demand, the outlook of a likely lower next EU wheat harvest and a less ample global supply lead," are the reasons for the hike. Serbia said that they'd exported a monthly record of 480 TMT of corn in November, up sharply from the 290 TMT shipped out in October. 03/12/14 -- Soycomplex: Beans closed with modest gains, but failed to break through the $10/bushel mark on front month Jan 15. Fresh news was generally lacking. The dollar rose to new 5-year highs. Informa estimated Brazilian 2014/15 production at 93.5 MMT, with Argentina at 55.5 MMT, which is broadly similar to the USDA's 94 MMT and 55 MMT. Trade estimates for tomorrow's weekly export sales report for are around 700-900 TMT for beans. Jan 15 Soybeans closed at $9.98 1/4, up 2 1/2 cents; Mar 15 Soybeans closed at $10.05 1/4, up 2 1/4 cents; Dec 14 Soybean Meal closed at $381.10, down $2.00; Dec 14 Soybean Oil closed at 31.86, up 69 points. Corn: The corn market closed slightly steadier. "Failure to take out and make new lows prompted short-covering," said Benson Quinn. Volume was low however, they added. The USDA announced 196,000 MT of US corn sold to Mexico for 2014/15 shipment under the daily reporting system. Informa estimated that Brazilian 2014/15 corn production will drop to 68.7 MMT, with Argentine production at 22.0 MMT. The Brazilian estimate is a lot lower than the USDA's current 75 MMT forecast, and the Argentine figure compares to 23 MMT from Washington. The weekly US ethanol grind came in at 962,000 barrels/day, down from 982,000 bpd last week, although still a respectable total. Ethanol margins are still said to be good. Trade estimates for tomorrow's weekly export sales report are in the region of 600-850 TMT. Dec 14 Corn closed at $3.68 3/4, up 1 cent; Mar 15 Corn closed at $3.82, up 3/4 cent. Wheat: The wheat market closed sharply lower as some of the spec money that had entered the fray, on hopes/fears that Russia was about to issue some form of export ban waned. This may not be the end of the issue though by any means. Russian wheat was offered in Egypt's tender, but it was too expensive to feature, and it was only a couple of cargoes. They finished up booking two cargoes of Romanian and one of Ukraine origin. US material was offered, but was also too dear. French wheat was kicked out by higher freight costs. Ukraine said that it had exported 15.6 MMT of grains so far this season, which is 1 MMT higher than this time last year. Tomorrow's weekly export sales for wheat are only expected to be in the region of 300-400 TMT, with the continued strength of the US dollar a major hurdle. Dec 14 CBOT Wheat closed at $5.97, down 8 1/4 cents; Dec 14 KCBT Wheat closed at $6.31 3/4, down 17 cents; Dec 14 MGEX Wheat closed at $6.35 1/2, down 20 1/2 cents. 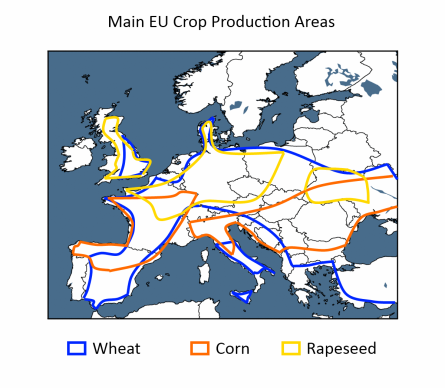 03/12/14 -- EU grains cancelled out all of yesterday's gains, and then some, with the exception (again) of rapeseed, which continues to do its own thing. At the close Jan 15 London wheat was down GBP4.60/tonne at GBP131.90/tonne, Jan 15 Paris wheat was EUR3.500/tonne lower at EUR187.00/tonne, Jan 15 Paris corn was EUR2.00/tonne weaker at EUR155.50/tonne, whilst Feb 15 Paris rapeseed traded EUR0.25/tonne higher at EUR337.25/tonne. 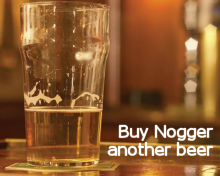 The recent market volatility continues. May 15 London wheat gapped higher yesterday, and gapped lower this morning, potentially signalling what the chartists call an “Island Reversal” - these are strong short term signals, showing the end of the near term trend, said Jefferies Bache. In this case, they are suggesting that the recent rally might be over. Only time will tell if this is indeed the case, or whether the market is simply taking a "breather" before pressing onto new highs. We've come quite a long way in a short time, with both London and Paris wheat up 26-27% since the late September lows on a front month basis based on last night's closes. The Russian government were supposed to be meeting today to discuss grain exports, but there have been no announcements out of Moscow as yet. Various Russian trade groups are said to be lobbying the government, saying that there is no need for any form of export restriction, with a crop of 104-105 MMT on the cards this year - the second largest in post-Soviet history. Late in the day Egypt confirmed that they'd bought 175 TMT of wheat for Jan 1-10 shipment in their latest tender. They were said to have paid $270.17/tonne including freight for 120 TMT of Romanian wheat and $273.40/tonne for 55 TMT of Ukraine origin wheat. The French market was maybe a bit disappointed with that result, explaining some of the late weakness seen today. Rabobank forecast a Q4 2014 Paris wheat price of EUR165/tonne, which is way below last night's EUR190/tonne close on the Jan 15 contract. They see prices recovering in the second half of next year, although the Q3 2015 estimate of EUR180/tonne and the Q4 figure of EUR185/tonne are still below where the market currently trades. This is also true of their forecasts for Chicago wheat in 2015. They did however say that there is quite a large disparity between where Chicago wheat prices might end up, comparing a worst case scenario with a best case one. The former could see prices fall to around $5/bushel by the end of next year - around 19-20% below where they currently trade. A best case scenario, with adverse weather and increased geopolitical risk in the Black Sea, could push prices as high as $7/bushel - around 10% higher than current levels, they said. The "base" case scenario however, sees Q4 2013 Chicago wheat at $5.25/bushel, rising only modestly to $5.60/bushel by the end of next year. Despite the fact that this year's EU-28 wheat exports are outstripping the pace that went on to set a record last year, Rabobank forecast that ultimately these will show a 10% decline year-on-year by the end of 2014/15. They also predict a global wheat crop of a record 718 MMT in 2015. 02/12/14 -- Soycomplex: Beans slipped back below $10/bushel in a broad-based sell-off in commodities. "A fresh 4-year high in the US dollar triggered broad commodity market selling that a reversal of yesterday’s broad market price action. Few commodity contracts were spared with crude, energies, metals, grains, live cattle and hogs, and most of the softs down sharply as the funds liquidated positions and moved money back to the equities, where the Dow was seen closing back near Friday’s all-time record high," said Benson Quinn. South American planting has now pretty much caught up with normal, and the weather there has started to develop a more friendly look. IMEA estimated output in Brazil's largest producing state of Mato Grosso’s at 27.89 MMT versus 26.29 MMT a year ago. They see plantings at 8.87 million hectares versus 8.44 million a year ago. Stats Canada are out on Thursday with their latest crop production estimates. A Reuters survey puts the 2014 Canadian canola crop at 14.6 MMT, up more than half a million tonnes on their previous estimate, although still down on last year's bumper crop of almost 18 MMT. US farmer interest in selling beans now that we are back below $10/bushel will be light, at least until we get closer to the Brazilian harvest. Jan 15 Soybeans closed at $9.95 3/4, down 21 1/4 cents; Mar 15 Soybeans closed at $10.03, down 21 cents; Dec 14 Soybean Meal closed at $383.10, down $1.30; Dec 14 Soybean Oil closed at 31.17, down 105 points. Corn: The corn market closed around 7-8 cents lower as it too succumbed to the general commodity sell-off. Funds were estimate as net sellers of around a net 8,000 contacts on the day. "Typically, the best bid has been the ethanol producer. EIA will release weekly ethanol stats tomorrow morning. Expect to see another weekly grind that rivals the record levels of the prior week," said Benson Quinn. It's interesting that demand from the ethanol sector is currently holding up whilst crude oil values hit 5-year lows. Brazilian growers are planting less corn in favour of soybeans. IMEA estimated Mato Grosso’s 2014/15 corn area at 2.83 million hectares versus 3.22 million a year ago, and only around a third of the area given over to beans. They see Mato Grosso’s 2014/15 corn crop at 14.6 MMT versus 17.72 MMT a year ago. Ukraine said that their 2014 corn harvest was now 96% complete at 26.4 MMT. They now appear to be concentrating the bulk of their efforts on corn exports, rather than those for wheat. Russia said it had harvested 95.8% of its 2014 corn crop, producing 11.2 MMT to date. News of more EU feed wheat heading into the SE of the US leans bearish for corn demand. Stats Canada are expected to peg the Canadian 2014 corn crop at 11.6 MMT on Thursday, up from 11.4 MMT previously but down on 14.2 MMT a year ago. Dec 14 Corn closed at $3.67 3/4, down 7 3/4 cents; Mar 15 Corn closed at $3.81 1/4, down 8 1/2 cents. Wheat: The wheat market closed mixed, but mostly a little lower following strong gains yesterday. Falling corn and soybean values were a negative influence. Talk of possible Russian export restrictions in some form or other is keeping the market excited. Egypt's GASC tendered for wheat late in the day, with the results expected tomorrow afternoon. Who offers what, and at what price, will make interesting reading. Kazakhstan said that their grain harvest was almost 99% complete at 18.9 MMT. Ukraine said that their grain harvest was 98% complete at 63 MMT. Russia said that they are 99% done at 110.3 MMT. The latter includes 62.3 MMT of wheat (which is now 100% of their combinable area) in bunker weight. The Russian barley harvest is also over at 21.2 MMT, also before cleaning and screening. Stats Canada are expected to report a Canadian all wheat crop of 27.8 MMT on Thursday, up from the 27.5 MMT estimated in October, but down sharply on last year's record 37.5 MMT. Reuters report that some Canadian wheat buyers are becoming increasingly dissatisfied with problems including "underweight shipments, lower-than-expected protein content and gluten strength in the wheat, and even the occasional mixture of wheat with other agricultural products." That could push a but more business the way of the US, although the strong US dollar won't help. 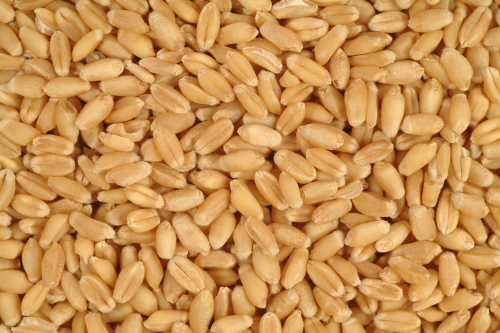 Japan are tendering for 146,660 MT of milling wheat for Jan-Feb shipment. Dec 14 CBOT Wheat closed at $6.05 1/4, down 1 1/2 cents; Dec 14 KCBT Wheat closed at $6.48 3/4, down 11 1/2 cents; Dec 14 MGEX Wheat closed at $6.56, up 6 cents. 02/12/14 -- EU grains finished the day higher, save for Paris rapeseed which was bogged down by falling soybean values which slipped back below $10/bushel in Chicago. At the close Jan 15 London wheat was up GBP4.00/tonne to GBP136.50/tonne; Jan 15 Paris wheat was EUR1.75/tonne firmer at EUR190.00/tonne; Jan 15 Paris corn rose EUR1.50/tonne to EUR157.50/tonne; Feb 15 Paris rapeseed ended EUR1.25/tonne lower at EUR337.00/tonne. Talk of some form of Russian export restrictions abound, with the government said to be set to meet in Moscow tomorrow to discuss introducing such measures. Platts reported a flurry of buying interest pushing Russian 12.5% milling wheat prices up $8/tonne on yesterday, to $261.00/tonne FOB the Black Sea. They also said that one rumour doing the rounds is that only vessels under the Russian flag might be allowed to load grain in Russian ports. Another is that certificates to load grain might only be granted to Russian-based companies, freezing out offshore registered businesses from exporting Russian grain. The Russian rouble meanwhile suffered its largest one day loss since 1998 against the US dollar yesterday, and is now 60% down against the US currency so far this year. Russian farmers are extremely reluctant sellers whilst this sort of scenario pans out, with local prices steadily climbing on a daily basis as the rouble devalues. All this potentially means more export business for Europe. The French were reported to have secured further feed wheat business into the south east coast of the US in the last couple of days. The euro sitting close to its lowest level against the US dollar since August 2012 will be helping them to get the sales. 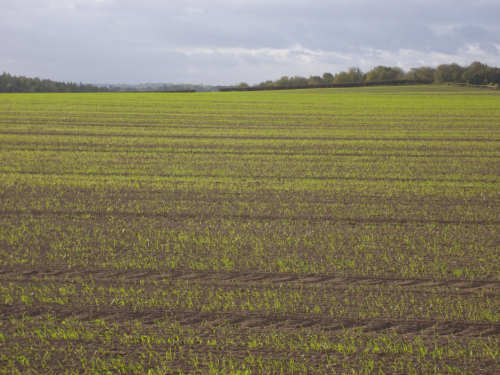 At home the HGCA/ADAS reported UK winter wheat planting at 97% complete, with sowing of winter barley, oats and rapeseed already finished. They said that crops are generally in good condition heading into winter, although black grass remains a problem as too does cabbage stem flea beetle in the OSR. An interesting report in the Egypt Daily News said that the world's largest wheat buyer loses around 14% of its own domestic wheat crop every year through inadequate storage, transport, processing and also due to pests. They said that the country's total grain storage capacity is currently only 4.2 MMT, around half of their normal production and less than a quarter of their annual consumption. This is something that the government are trying to address, to help reduce their wheat import needs. Crop conditions in Russia are said to be "very tricky" by one contact over there. Meanwhile UkrAgroConsult said yesterday that more than a third of Ukraine's winter barley crop is in poor condition, and just 18.3% of it is in good condition. 01/12/14 -- Soycomplex: Beans ended barely changed. Weekly export inspections were large at 1.85 MMT, although figures like this are now almost becoming routine. Cumulative shipments are now 7.35 MMT larger than they were at this time a year ago. AgRural said that Brazil’s 2014/15 soybean crop is 85% planted versus 76% a week ago and now almost in line with 89% a year ago. They estimated production at a record 94.9 MMT. 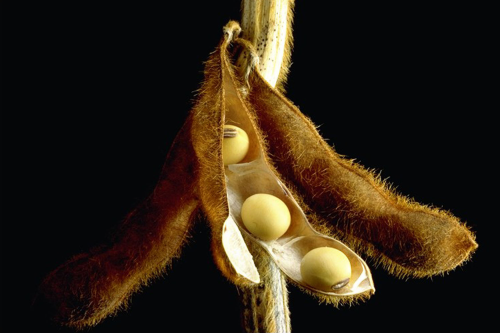 Oil World forecast the global soybean crop at 309.1 MMT in 2014/15, up 8.5% on last season. They said that the EU had processed 3.2 MMT of soybeans in Q1 of 2014/15, up almost 7% on a year previously. Europe also processed 6.7 MMT of rapeseed in the same period, a rise of 11% on the same quarter a year ago. In Argentina, the USDA's attaché estimated the 2014/15 soybean planted area at 21.0 million hectares versus the Buenos Aires Grains Exchange estimate of 20.6 million. They forecast the crop at 57.0 MMT, unchanged from their previous estimate, but up 2 MMT compared to the official USDA estimate. Local weather forecasters said that Argentine growing conditions are currently near ideal. Jan 15 Soybeans closed at $10.17, up 1 cent; Mar 15 Soybeans closed at $10.24, up 1 1/2 cents; Dec 14 Soybean Meal closed at $384.40, down $6.70; Dec 14 Soybean Oil closed at 32.22, up 4 pips. Corn: The corn market also ended with little change. A recovery in the crude oil market, which hit 5 year lows for WTI and Brent earlier in the day may have helped corn somewhat in afternoon trade. The USDA announced 126,000 MT of US corn sold to unknown for 2014/15 shipment. China's CNGrain said that their 2014/15 corn ending stocks are likely to reach an enormous 120 MMT. That figure seemed so outrageous when I first saw it that I thought I'd better go and get it verified from another source, but the story is out there. The USDA's current ending stocks estimate is a "mere" 77.7 MMT. If accurate, then the CNGrain figure puts stocks to usage at a record high 60%. The USDA's attaché office in Russia estimated their 2014 corn crop at 11.5 MMT, with is 0.5 MMT below the official figure. They see exports at 2.5 MMT, which is also 0.5 MMT below the official USDA estimate. Russia said that they'd exported 780 TMT of corn in November. Ukraine is now majoring on corn exports, these accounted for 85% of all grain exports via seaports last week, up from 69% the previous week, said APK Inform. Safras e Mercado estimated the Brazilian 2014/15 corn crop at 75.5 MMT, down 2.2% from a year ago. 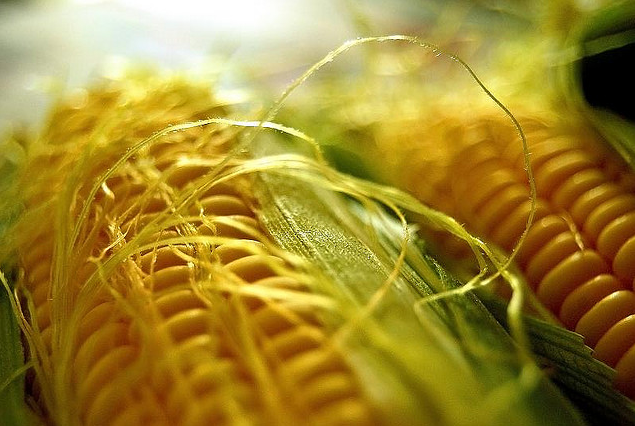 The Brazilian Trade Ministry said that the country exported just under 3 MMT of corn in November, down from 3.9 MMT a year previously. Weekly US corn export inspections came in at just under 744 TMT, which was in line with trade expectations. Dec 14 Corn closed at $3.75 1/2, down 1/4 cent; Mar 15 Corn closed at $3.89 3/4, up 1 cent. Wheat: The wheat market jumped to new highs for the move. Chicago wheat closed above $6/bushel for the first time since June. Winterkill concerns in the US, Russia and Ukraine are getting a lot of publicity due to freezing temperatures and a lack of snow cover. Crop conditions in all three countries are also significantly worse than a year ago. UkrAgroConsult said that more than a third of the Ukraine winter barley crop is in poor condition, and just 18.3% of it is in good condition. 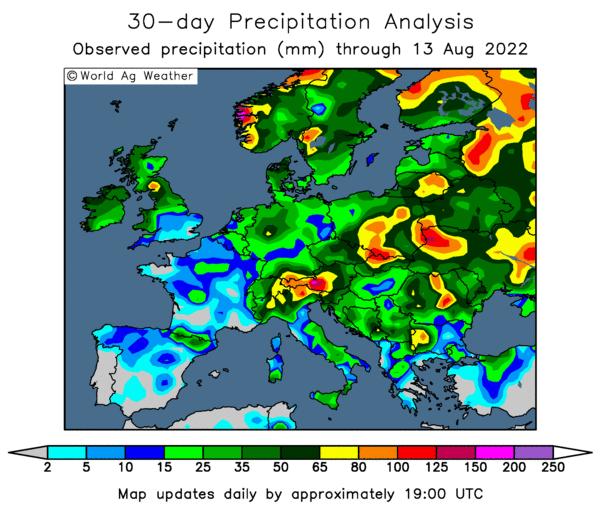 Meanwhile, the past 6 months have been abnormally dry with only 55% of normal precipitation rainfall in the 4 key southern Russian winter wheat growing areas of Krasnodar, Stavropol, Rostov and Volgograd, said Martell Crop Projections. The USDA attaché in Russia estimated their 2014 wheat crop at 58 MMT which is 1 MMT below the official USDA figure. They see exports at 22 MMT versus 22.5 MMT from the USDA themselves. The US dollar hit an all time high of 52 against the Russian rouble today, up 2 from Friday. The weakness of the domestic currency does seem to be encouraging farmers to hold back on making further sales. India said that it had sown 16.2 million hectares of wheat for the 2015 harvest, up versus 15.9 million ha this time a year ago. Bangladesh announced a tender for 50 TMT of optional origin wheat. ABARES cut 1 MMT off their Australian wheat production estimate to 23.2 MMT. Weekly US wheat export inspections were disappointing at 273,055 MT. YTD shipments lag a year ago by 5.79 MMT. Dec 14 CBOT Wheat closed at $6.06 3/4, up 29 1/2 cents; Dec 14 KCBT Wheat closed at $6.60 1/4, up 23 1/4 cents; Dec 14 MGEX Wheat closed at $6.50, up 29 cents. 01/12/14 -- EU grains closed mostly higher again, with Jan 15 London wheat up GBP0.70/tonne at GBP132.50/tonne, Jan 15 Paris wheat jumped EUR4.00/tonne at EUR188.25/tonne, Jan 15 Paris corn was EUR3.75/tonne firmer to EUR156.00/tonne, whilst Feb 15 Paris rapeseed rose EUR1.25/tonne lower at EUR338.25/tonne. Widespread talk about an assortment of potential problems with Russia are fuelling this latest rally. We've got talk that summer and autumn dryness means that winter planted crops are in poor condition, possibly the worst state on record. There's also speculation that these same poorly established crops are more vulnerable to winterkill this year. 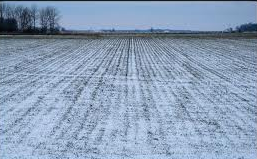 APK Inform said that 20-30% crop losses are possible in the main southern winter wheat regions of Rostov, Stavropol and Krasnodar, due to the lack of snow cover with night-time temperatures down to -10c in the region. These three areas have been planted with around 6 million hectares of winter grains, according to Ag Ministry data. "The key Southern District, where 61 percent of Russia’s winter wheat is produced, has received only 8 mm of precipitation in the past month against 35 mm normally. Drought has been ongoing since the summer when intense drought first developed. 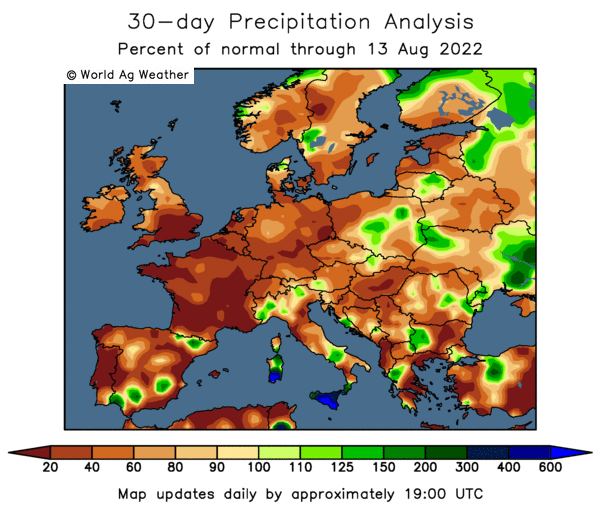 Meanwhile, the Black Earth wheat, north and east of Ukraine, is in the throes of historic drought, receiving less than 25% of average precipitation over the past 3 months," said Martell Crop Projections. The demise of the Russian rouble, which was set to post its worst one day loss in 5 years today, falling to new all time lows against the US dollar and euro, is also serving to encourage Russian growers to hang onto their remaining grain stocks. Signs are emerging that exports are starting to slow up. Russian seaports exported 353 TMT of grains in the last week of November, including 258.3 TMT of wheat (73% of the weekly total), 71.1 TMT of barley (20%) and 23.6 TMT of corn (7%). That total was down 41% on the 599.3 TMT shipped out the previous week. That means that Russia exported 2.71 MMT of grain in November, up versus 2.55 MMT in Nov 2013, although lower than the 3.0-3.1 MMT predicted by Rusagrotrans. There have been reports on Reuters this past few days meanwhile of Russia introducing new self-imposed tougher phytosanitary conditions on grain storage and exports. Exactly why they would do this is not really clear, as it doesn't seem that it is something that international buyers are asking for, but their own Veterinary and Phytosanitary Surveillance Service (VPSS) said on Friday that it could lead to a significant fall in exports in 2015. Is it for "insurance" reasons due to early concerns about production next year? Or is it simply a deliberate (and so far successful) attempt to get world and local wheat prices up? Who can tell. Meanwhile we also have rumblings of a large inter-government deal between Russia and Iran, in which the former will supply "grain and other goods" in exchange for oil in a barter deal. Is the Russian government attempting to rein in exports to reserve stocks for this? The slump in global crude oil prices is also helping to drive down the already under pressure rouble. That's pushing up input costs for next year too. As Western sanctions bite probably more than President Putin would like to admit, lack of access to credit is another problem that Russian growers will be faced with in the spring. Grain shipments out of Ukraine are also slackening off, particularly for wheat. Their seaports exported 537.4 TMT of grains last week, down 23% from the previous week. Corn accounted for 85% of that total versus 69% the week before, and wheat's share fell to 15% from 26%. Potentially then, this leaves more export business to come to Europe in the second half of the current season. The EU Commission today raised their estimate for 2014/15 EU-28 soft wheat exports to 30 MMT, which they say would just about beat last year's record. The IGC forecast soft wheat exports at 28.1 MMT last week, and the USDA currently go for a figure of 28.0 MMT, and that's for all wheat.